Getting the right amount of sleep and rest is important for a persons overall well being. Pets have been found to be important companions as several people are also recommended for emotional support. Findings of a new study bring attention to the benefits of having furry friends by revealing that women sleep better next to dogs. Researchers also added that they get better rest with canines than they get with cats and even their partners. They found that women who sleep next to their dog; sleep earlier, get up early and have better sleep quality. 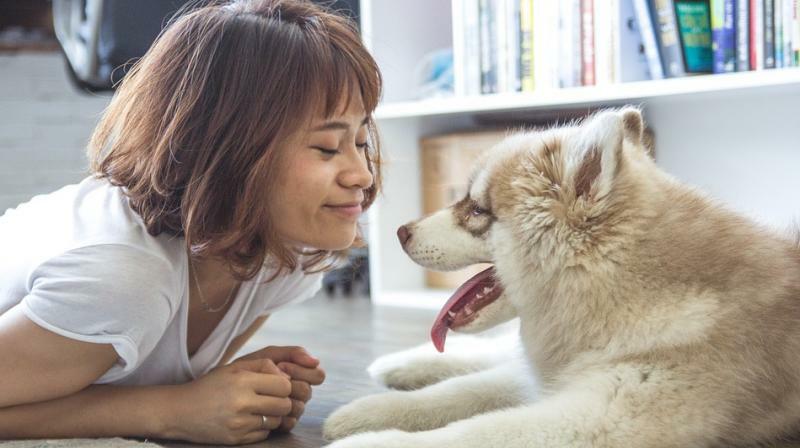 Earlier Japanese researchers had revealed that levels of the love neurochemical called oxytocin go up significantly when dogs and humans stare into each others eyes. Women who had at least one cat werent found to get the same feeling from their felines. Researchers suggest this may be because humans never meant to get to close to cats.